Good location, a well-equipped flat, very friendly and informative hosts! 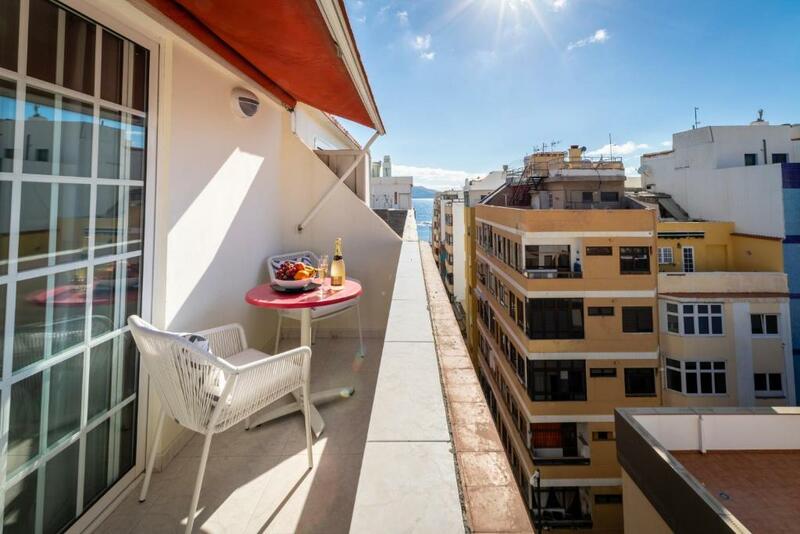 Lock in a great price for OPEN TERRACE FREE BIKES by Living Las Canteras – rated 9.3 by recent guests! Luxury Suite Home & Terrace Living Las Canteras offers accommodations in Las Palmas de Gran Canaria. Luxury Suite Home & Terrace.Living Las Canteras features views of the sea and free WiFi. Featuring a terrace, this apartment includes 1 double bedroom, a seating area with a sofa bed and flat-screen TV, and a kitchen equipped with an oven, fridge, microwave, and coffee machine. There is also a bathroom with a shower. Luxury Suite Home & Terrace. Living Las Canteras. The property has water sports facilities and car hire is available. The nearest airport is Gran Canaria Airport, 14 mi from the property. When would you like to stay at OPEN TERRACE FREE BIKES by Living Las Canteras? This apartment includes 1 double bedroom and a bathroom with a shower. It comes with a seating area with a sofa bed and flat-screen TV, terrace, and a kitchen equipped with an oven, fridge, microwave, and coffee machine. There is also a bathroom with a shower. House Rules OPEN TERRACE FREE BIKES by Living Las Canteras takes special requests – add in the next step! Please inform OPEN TERRACE FREE BIKES by Living Las Canteras of your expected arrival time in advance. You can use the Special Requests box when booking, or contact the property directly using the contact details in your confirmation. Small problem in the bathroom, low water pressure in the shower.Not ale to move it up and down.